Would you like to join us for a tough social ride over the D’Aguilar Range to Reedy Creek? When: 7.30am, Saturday, 17 September 2016. 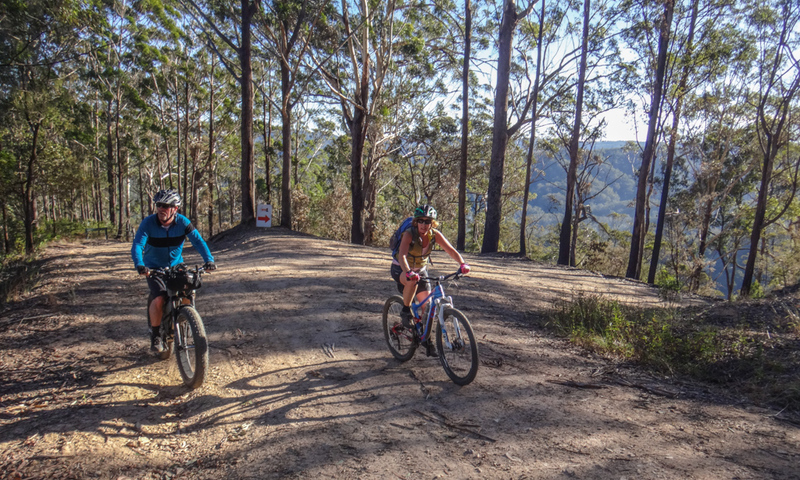 Approx distance: 43km with about 1,500m of elevation. The ride will take about five hours and we should be back by 12:30pm. 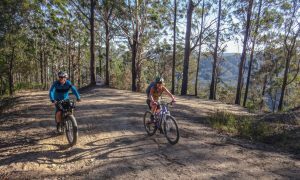 A challenging 15km climb to Kluvers Lookout gaining over 900 metres in elevation. 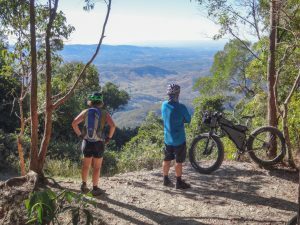 A pleasant 15km descent down the other side of the D’Aguilar Range along a little known horse trail. 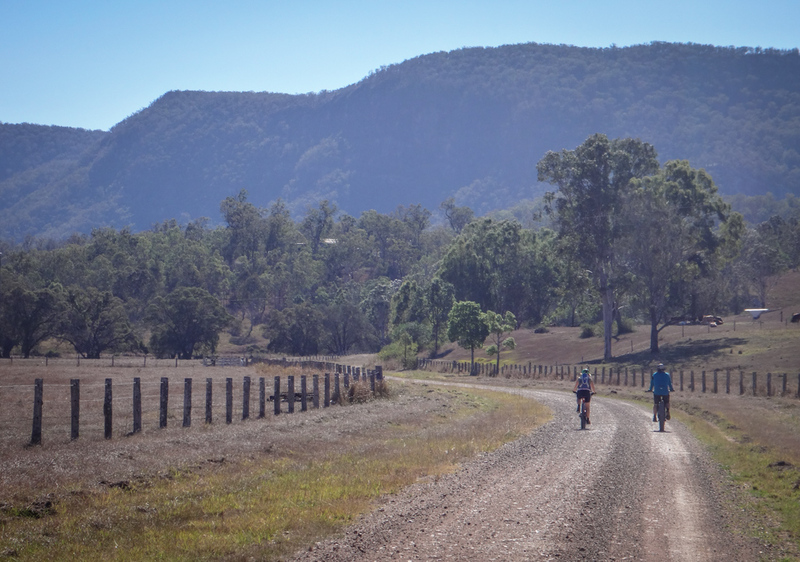 Impressive views of Mount Byron from the Reedy Creek valley. 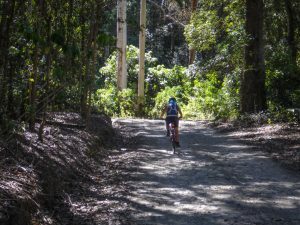 Pleasant rainforest trails along Byron Creek. A white-knuckle downhill run to finish the ride. 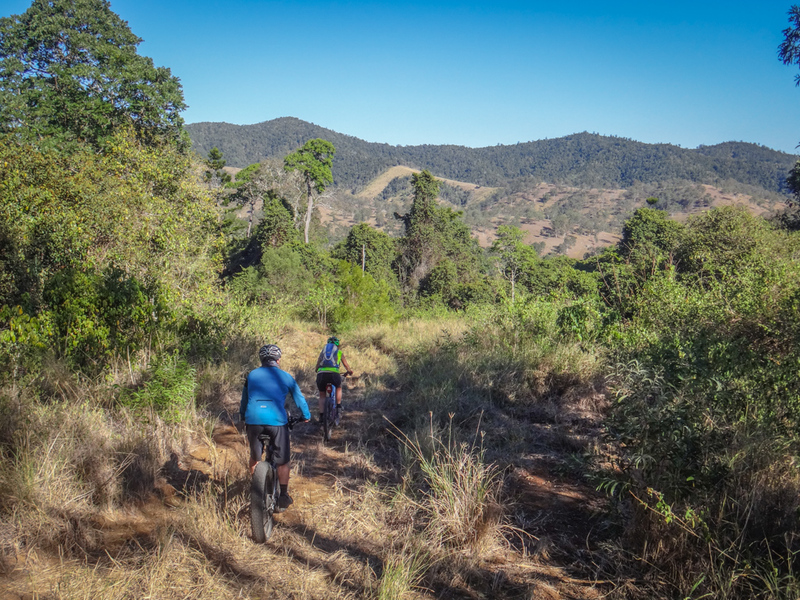 You need to be comfortable with riding uphill for almost two hours. 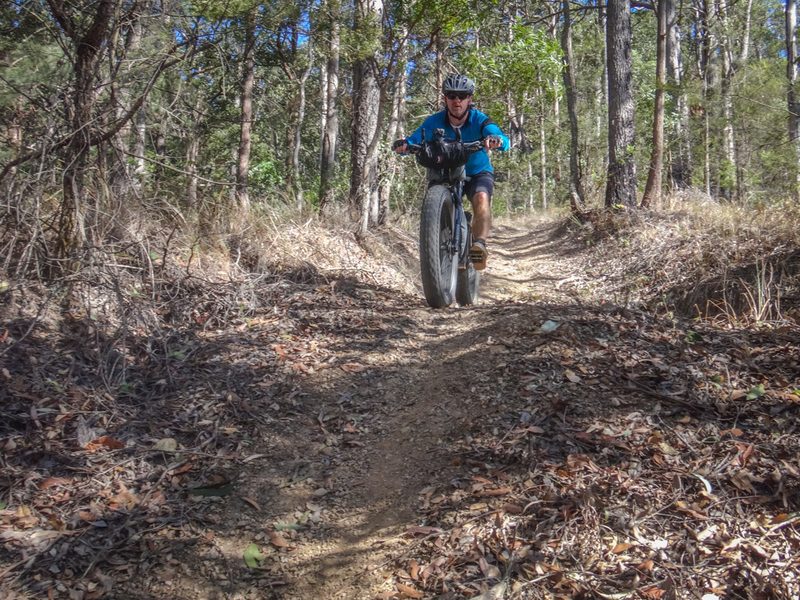 You need to be able to safely ride a steep downhill horse track. This ride goes through “Byronvale” a private property. The route is not normally accessible to the public. 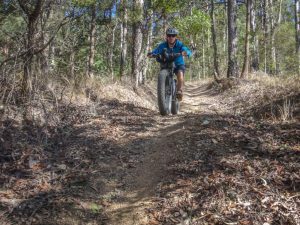 This might be your only chance to ride some of these trails. 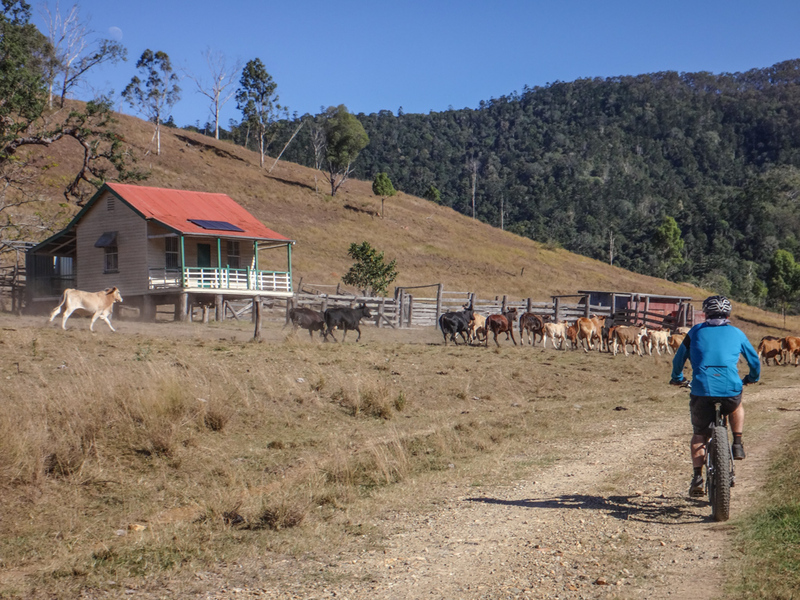 There are no shops, toilets or water-refill points along the way. 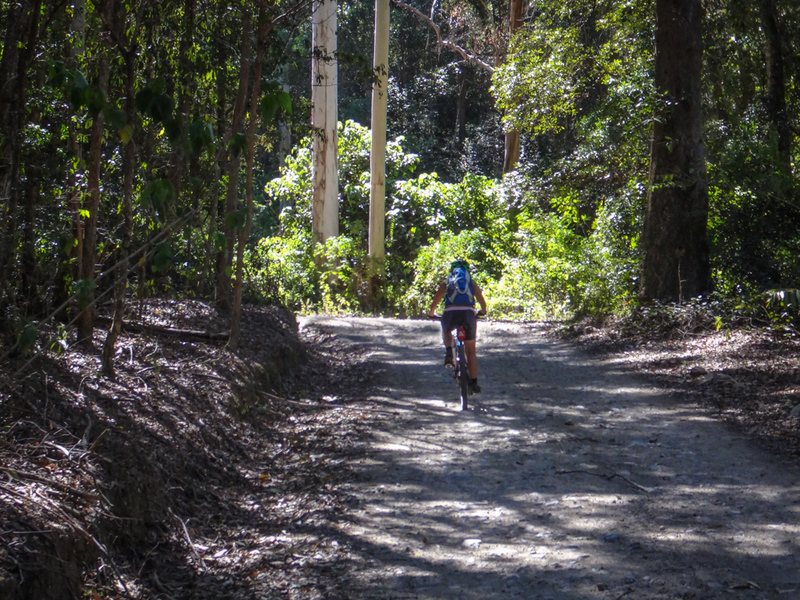 The only place you might be able to get water would be at Byron Creek, about 35km into the ride. Is there room for a couple of last minute additions to this ride? If so we would be keen to join. I’m also wondering if it still goes ahead despite whatever rain the area gets between now and then? Hopefully we can get along because it sounds like a great opportunity and a nice challenge. Sure. See you there. We turn up even it its raining. That gives us a chance to get a ride in, even if we have to modify the route to suit the weather. Sorry, something’s come up. I won’t make it this time. Have a good one.